There were a lot of twists and turns at the PBR Music City Knockout held at the Bridgestone Arena in Nashville, Tennessee on August 20, 2016. The drama was provided by bone-jarring bulls and the unique bracket format of the two-day competition that saw the world’s best Professional Bull Riders face off against each other in the only one of its kind event on the 2016 Built Ford Tough Series (BFTS) schedule. 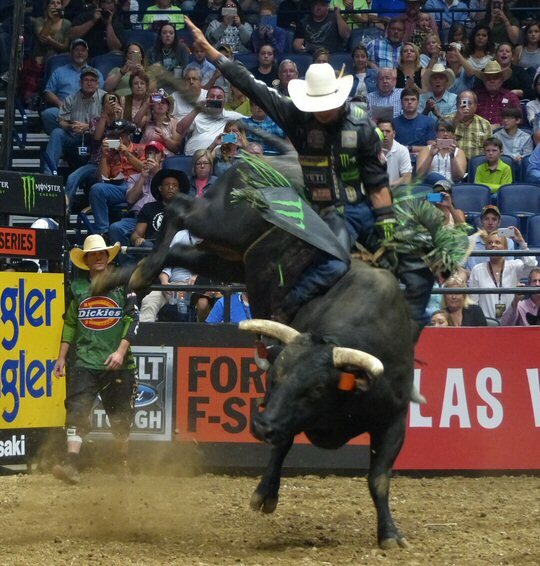 J.B. Mauney has a money ride on a monster bull. The PBR rode into Music City to present their fourth and final major of the year. The placement of the event here in the little big town signals plans by the group to grow Nashville’s stature as one of its core destinations. The capacity turnout on Saturday night saw a lot of families in attendance to observe the courageous cowboys and animal athletes who are the stars of this fast-growing organization. “The Toughest Sport on Dirt” was born in 1992 when 20 bull riders from the rodeo circuit decided that their event could be a standalone attraction. 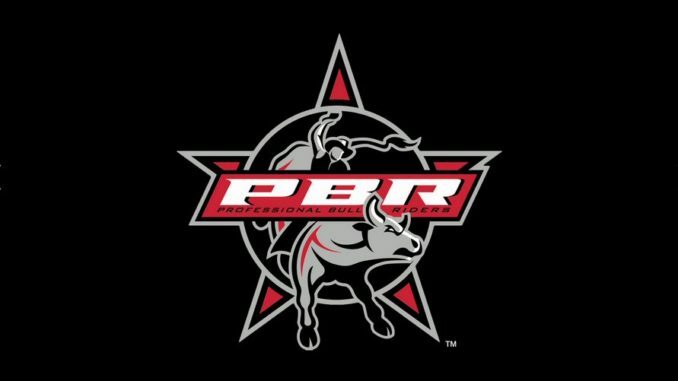 They each put in $1,000 to launch the simple idea of matching the world’s best bull riding cowboys against the meanest animal athletes on the planet. Bull riding is an eight-second duel between beast and man. Next, pit the riders against one another in a season-long battle to claim the year-end title of PBR World Champion, and with that, a share of more than $10 million in prize money including the $1 million year-end bonus for the season’s best bull rider. Of course, it’s only simple until you strap a tough and determined 159-pound cowboy to the back of a temperamental 2,000-pound bull. The result is unparalleled action where danger, drama and heroic accomplishments are just a part of the game. In reality, the PBR is not that simple of an undertaking. As we arrived at the Bridgestone Arena in Nashville we spotted a herd of tractor trailers required to move men, bulls and equipment to their destinations. We imagine that there is a lot of set up and breaking down along with maintaining the livestock plus all the administrative tasks. Quite a few fans were sporting cowboy hats and western wear. Like many sports bull riding has its own unique culture. Inside the Bridgestone there was an air of anticipation even before the fiery opening ceremony with fireworks. Music blared as the bull riders were introduced and videos were used to full effect throughout the evening. The American national anthem along with prayer was also an important part of the program. After all, this is a dangerous and sometimes deadly sport. Although the pointy bull horns have been muted the 2000 pound beasts can still drag and trample a man to peril. A qualified ride is eight seconds. The clock starts when the bull’s shoulder or flank breaks the plane of the gate and stops when the rider’s hand comes out of the rope, the rider touches the ground or the rider’s free arm touches the bull. Points are only awarded after a completed ride. PBR judges award scores to both the bulls and the riders. Scenes from the thrilling PBR Music City Knockout. A rider is judged on how in control he is during the ride. This takes into account how well he matches and counters the bull’s moves, how centered he is and how fluid his movement is during the bull ride. Extra points may be awarded for style, such as spurring (the rider lifts his leg away from the bull and returns it) which demonstrates complete control. The combined bull score and rider score for each successful ride is the official ride score. It should also be noted that the bull fighters have a dangerous job too as they are the ones that have to distract the bull away from the cowboys. They also assist if a rider’s hand gets caught in the rope. We witnessed this nerve racking occurrence on Saturday. Seconds seemed like hours as they untangled Cody Nance a Tennessee native from the bucking bull. Thankfully rider and bull fighters walked away unscathed. Another man was on a horse in case a rambunctious beast decided to run around the arena. Generally most of the bulls knew where to go and headed towards the corral but there were a few that had to be rounded up via lasso. To lighten some of the drama another bull rider wore clown make-up and entertained the crowd between battles. He also facilitated a number of giveaways during the night. Some lucky fans won boots, Heinz BBQ kits, a tool set, Bass Pro Shop shopping sprees and more. We were in attendance the second night of the Music City Knockout. First riders were paired up against each other. Whoever had the best time and score advanced to the next round but the second chance bracket gave previously eliminated riders opportunities to work their way back into the competition. But, this came at the cost of more dangerous encounters with some of the toughest bulls on the circuit. For example, Hornet’s Nest and Magic Train have 100% records which means that so far no rider has been able to stay on his back the full eight seconds. On Saturday all of the 100% athletes kept their standings. 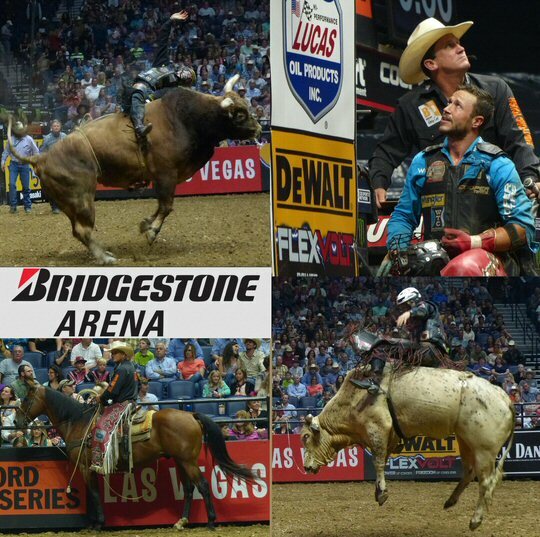 More scenes from the thrilling PBR Music City Knockout. This event was exciting with dirt being kicked up combined with the slight scent of animals in the air but it was the actual rides that kept us on the edge of our seats. In some cases it seemed like an eternity that the men were on the beasts and we often caught ourselves glancing at the clock to see where they stood. Of course there was still the challenge of getting off the bucking bull without hurting oneself. We came away with a greater appreciation of the skill of the cowboys and an adrenaline rush from being close to the action. There was one major injury of the night when a bull fell on Fabiano Vieira. Although Viera had a better overall time than eventual winner Cooper Davis he was unable to compete in the last pairing that determined the night’s champion. So, Cooper Davis via misfortune advanced to the final against current world leader Kaique Pacheco of Brazil. Davis reached 4.21 seconds on Pearl Harbor which was enough to outlast Pacheco and win the final PBR major of the season. Davis picked up 905 points and jumped from eighth to third in the world standings as he held on for his first Built Ford Tough Series (BFTS) event victory of the year. Davis, who was last season’s World Finals event title winner, also walked away with a check for $75,000. Runner-up Kaique earned 500 points which was enough to maintain his number one spot on the circuit. The Music City Knockout was the 17th event on the 2016 PBR BFTS schedule. The season consists of 26 stops, traveling to such cities as Chicago, New York, Anaheim, California, and Dallas. It will climax with the PBR Built Ford Tough World Finals in Las Vegas on Nov. 2-6 when the 2016 PBR World Champion, the bull rider who earns the most world standings points during the year, will receive the coveted World Championship belt buckle and $1 million bonus. That week in Sin City will no doubt be another bucking good time if you can hold on until then! 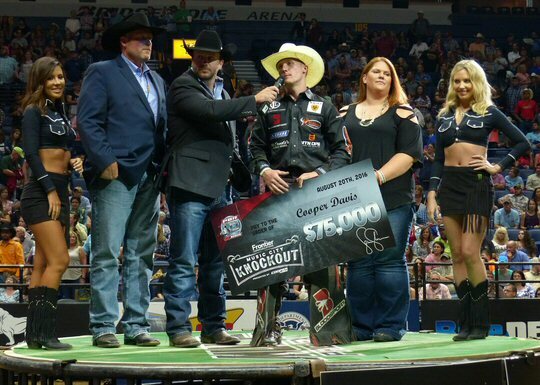 Young gun Cooper Davis pulled off an improbable victory in Nashville.